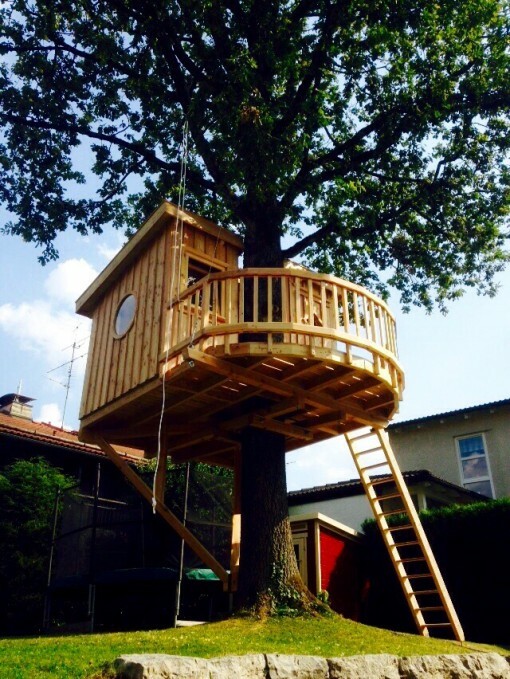 Secret hiding place spotted in Munich: A little cosy treehouse nestles around a stately oak tree trunk now. 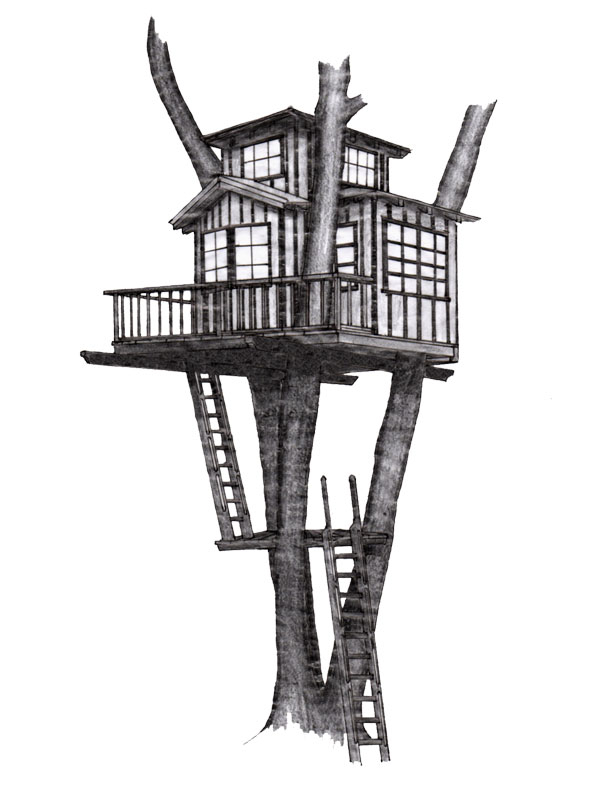 To make it even more comfy, we built it on a round platform and added round side-windows. 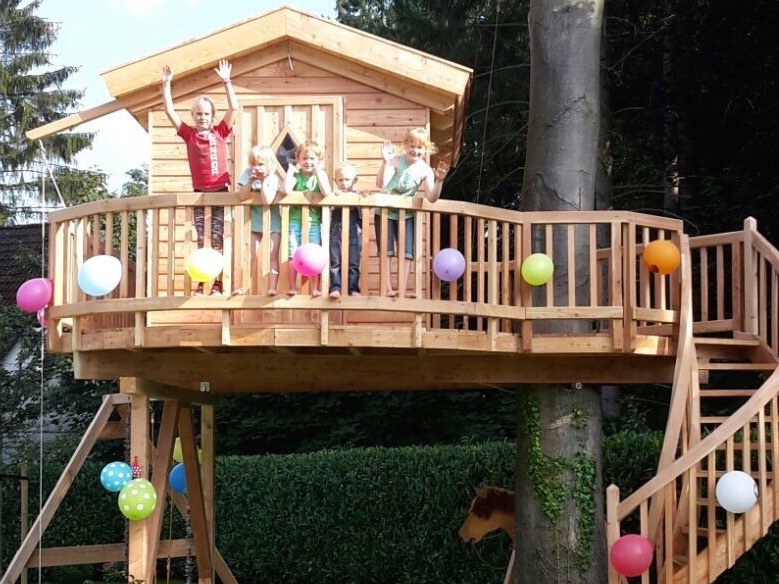 Just for this project, our engineer Rainer Rohm developed a new substructure, which made setting it up a lot easier. At a height of 8’2“ the kids can now plan secret actions in this cosy bunk. 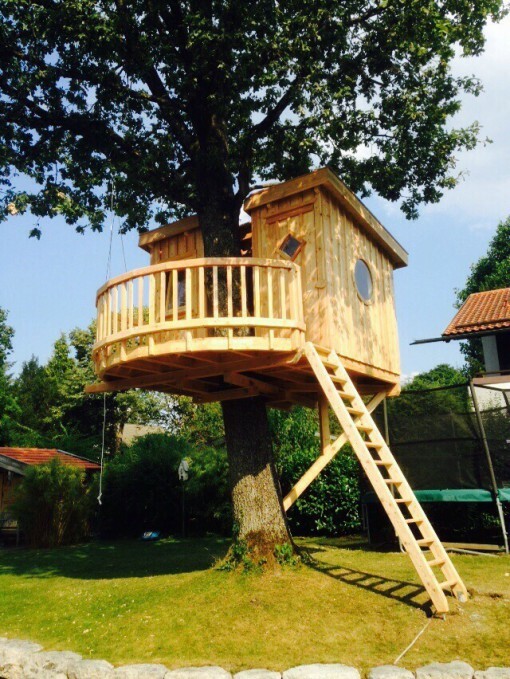 Bright-eyed children near Hamburg: Our latest treehouse was created in the North-East of the Hanseatic city. 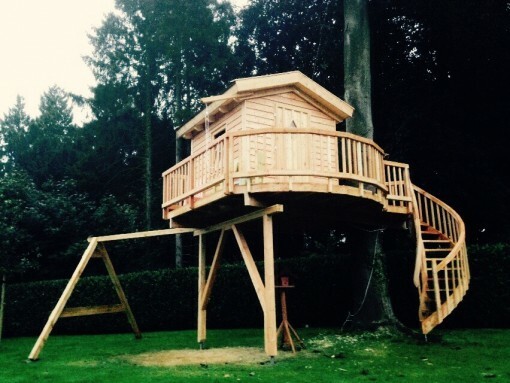 A spiral staircase leads to the fully insulated and electrified Wendy house, while the 120 year old beech-tree is integrated by a round platform. Even in autumn it’s warm and snugly with its isolation and in dim light. In that regard the rain drum on the roof becomes a welcome guest of cosiness. As special features we integrated a swing and a basket elevator, with which the yummy snacks can be transported high up the trees. The glint of the little owners eyes were the best possible reward for our work.